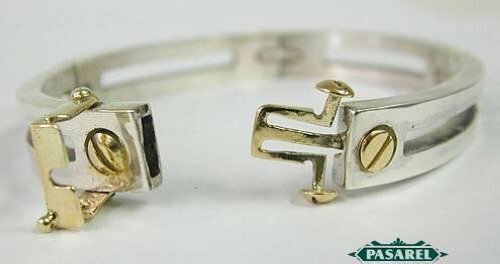 Made of four heavy and solid sterling silver links, connected with gold links shaped like screws. 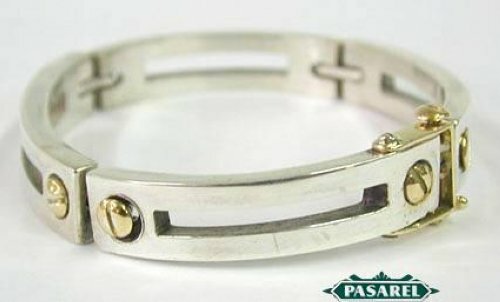 The connecting links add flexibility and decoration to the bracelet. The lock has double closure of a slide and a hinge door for extra safety. Inner circumference – 8.5in. / 21.59cm. Thickness – 0.14in. / 0.35cm. Width – 0.39in. / 1cm. 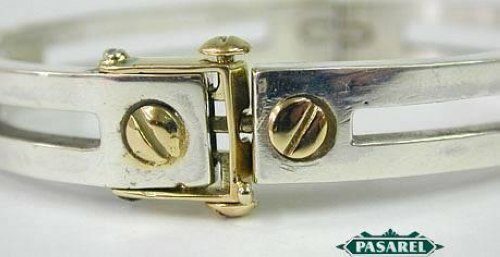 925 For sterling silver on the silver part, and 585 for 14k gold on the gold part, Billy (In Hebrew).